Without Community, It’s Tough To Get To The Work! It seems so easy when we read about it in Leadership books, skim versions of it in blogs before we retweet it, share colourful picture quotes depicting it on our Facebook wall and in some cases cheer for it when we see it depicted in the movies. But the reality is that building community ~ real community where discussions can occur without judgement, transparency is more than just a platitude ~ it is evident in actions, and cognitive dissonance is never avoided ~ it is embraced as a gift is one of the most significant challenges of leadership. We all picture the perfect scenario in our minds (like the Happily Ever After in a fairy tale), with each member of our team feeling as if their voice was heard, their position on the matter was taken seriously and full agreement was reached. And yet the reality never seems to be that seamless. At times personal agendas, the need for recognition of individual sacrifice or the need for voices to be embedded in the discussion on the merit of “just because” become the obstacles to creating a positive, effective community. And without community, it’s challenging to get to the work at hand. The work that is so vital to a team’s success and ultimately to the people that the team is supporting. Community is important at all levels in our world of education. Skillful teachers build community in their classrooms, where students are empowered to share ideas, respectfully challenge each other’s ideas, while still embracing the important component of recognizing and celebrating the accomplishments of their classmates. 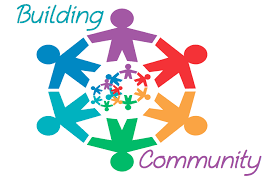 At the school level, administrators build community with both their staff and their broader community of parents, business owners, agencies, etc. And of course at the system level, the importance of community holds all of the same non-negotiables that we teach our children to embrace. How do you build community in your classroom? Your school? In your role at the system level?